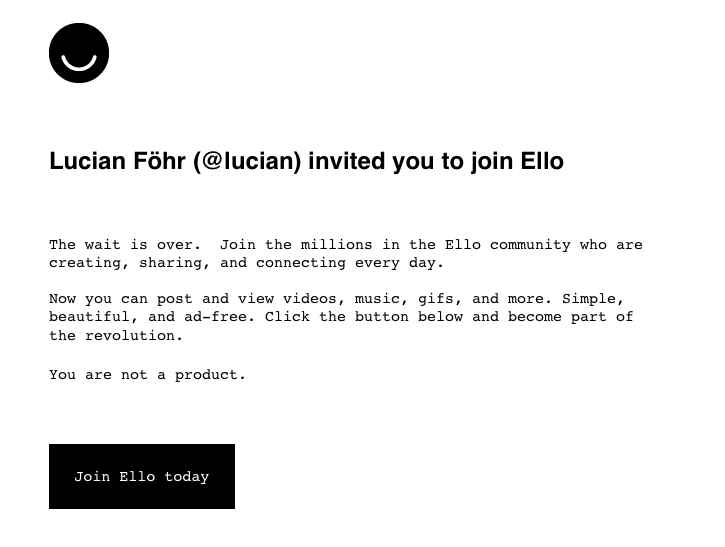 Well-o-well: Ello is officially scraping the bottom of the barrel. As the hardworking staff has plaintively noted, we were hoping for a smile from the Prom-Queen-Turned-Mean-Girl of social media last fall and got . . . a whole lot of nothing. Until today, when this landed in our gmailbox. Of course if Ello wants us at this late date then we are a product, but why get technical about it. 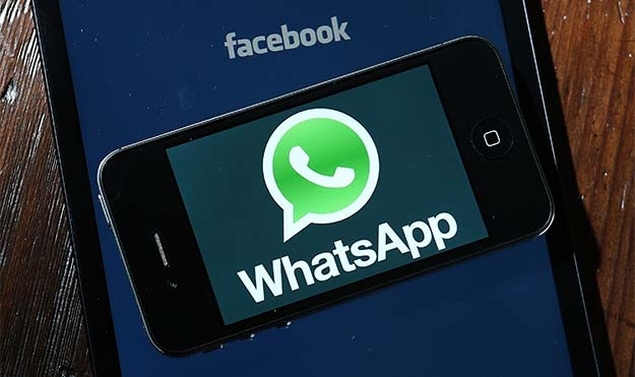 Then again, according to Gopal Sathe at NDTV Gadgets, Ello will take whoever it can get. A few months ago, the whole world seem to have finally discovered Ello, about a year after the “private” social network first launched. Like everyone else, we too got in line for an invite, and said hello to Ello. Unfortunately, the hottest new social network of 2014 eventually turned out to be pretty dull. The network has some different ideas like customisation and letting you to really personalise your space way more than Facebook (cover pictures are pretty much all you can do), but without losing the Ello identity on pages, which happened to MySpace. However, looking at Ello today, we’re struck by how little it has evolved. [O]nce the Ello bouncer let you through the velvet rope, the newest, hottest nightclub in town turned out to be a cool space with decent music, but no liquor license or bathrooms. People joined the site, but once they were there they seemed to mostly talk about how they had joined up or wonder out loud what they were supposed to post there. It was also oddly difficult to find your friends. There are dissenting views (see here), but it’s safe to say that Ello is not the bottle rocket many predicted at its launch. And it’s even safer to say that we’re not signing up. Not after waiting four months, anyway. This entry was posted in Uncategorized and tagged Ello, Facebook, Gopal Sathe, Lucian Fohr, Mean Girl of Social Media, Mike Pearl, MySpace, NDTV Gadgets, Prom Queen of Social Media, Tumbler, Vice. Bookmark the permalink. 3 Responses to An Invitation? After FOUR Months? To Ello With That! That’s about the size of it, Bill. What’s not clear at all to me is why this is news and merits any attention. SOunds mostly like a hard-working PR campaign to me, not much else.